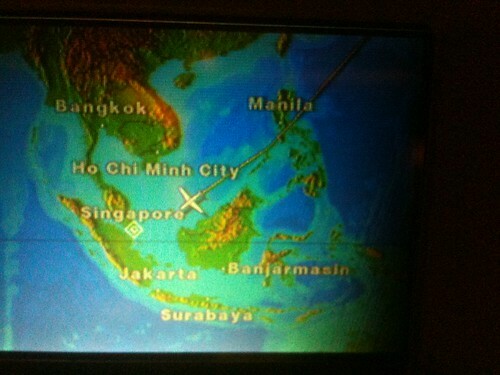 We have visited Singapore & Bangkok since 31 March. We held 8tokyo.com Meetup in Singapore. 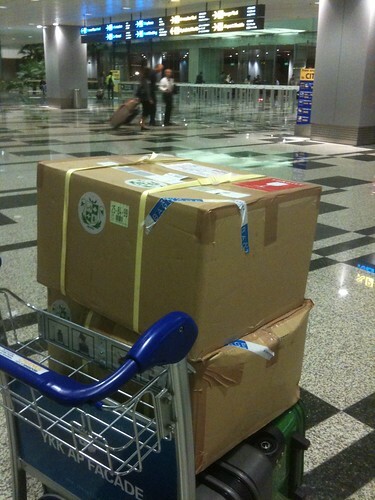 We brought two cardboard boxes packing Tokyo souvenirs for Singaporean readers. Tokyo souvenirs were 8tote(tote bag) and Japanese newest snacks (Sakura flavor chocolate, Rilakkuma package Kit Kat and etc.). We presented newest topics about Tokyo with Japanese translator. And we had discussion about Singaporean girls trend with 8tokyo.com readers. Bingo Game winners got MARC BY MARC JACOBS 2010 SPRING/SUMMER COLLECTION MAGAZINE, LADURÉE‘s newest items, Rabbit doll shape umbrella, Paul & Joe Beaute and UT collaboration Tees and fumofumo-san doll. Thank you very much for coming to 8tokyo.com meetup in Singapore. We would like to express our gratitude. See you again! Someday we will visit your country! Wow! Very exciting and interesting meetup! You guys are like angels [flying over fans! a lot of fans] with 8tote of surprises. Wow! Very exciting and interesting meetup! You guys are like angels [flying over fans! a lot of fans] with big tote of surprises. funnnn~ wish I was there! Hope 8tokyo.com will come to Singapore again soon. Thanks a lot to Ms. Tricia too! wow!seems like you guys had a real fun. thank you for coming to Singapore and organizing the Meet-up. and thank you very much too for all the gifts, i am amazed at your generosity of souvenirs, gifts and food served, they are much appreciated. i had a great time and i hope you enjoyed your trip to Singapore and Bangkok. i hope to see you again soon. Thanks for the lovely meetup and all the かわいい gifts! im new in this web….& i LOVE it……hope im not too late to join u gals & guys. the meet up look interesting….hope i could join in nxt time! Cheers!